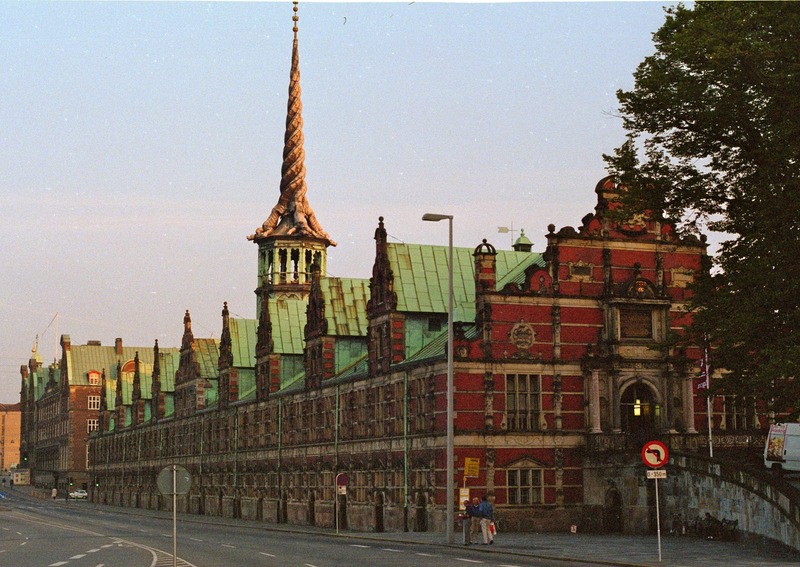 Copenhagen, Denmark, is sometimes called the "City of Spires" because there are so many apexes belonging to churches and castles in this town. 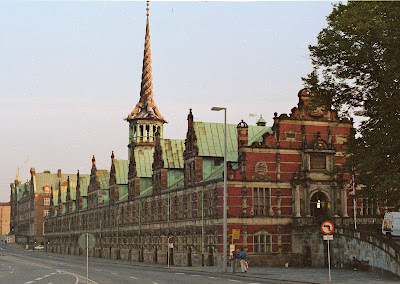 Certainly, the spire at the top of the old Copenhagen stock exchange building is the most unusual. It is known as the Dragon Spire, and it is formed by four dragons on their forelegs with their tails intertwined. Built in the early 1600s, the spire reaches a height of over 180 feet. Thanks to Debbie Dubrow for hosting Photo Friday at DeliciousBaby.com. Copenhagen is so full of interesting buildings and quirky corners, isn't it? Wonderful city for children, and not only for Tivoli. What a unique sprire! We just came from visiting Prague which also has a number of beautiful spires and towers. Would love to make it to Copenhagen one day. Thanks for sharing this. I clearly didn't spent enough time in Copenhagen as I completely missed this. Did love Copenhagen though. I remember this spire from our family trip to Copenhagen but I had no idea what it was called. Another great city for spires is Istanbul. Thanks for your comment over on our blog. Just stopped by here and smiled when I saw this post -- a little piece of home for me. :) Good luck with all your traveling. Sounds interesting!